Look Out For These Stolen Watches! 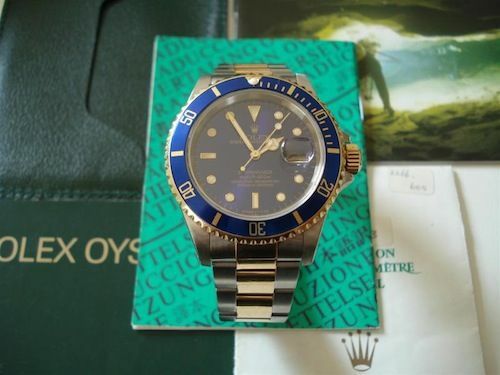 Rolex, Submariner Date, reference number 16613, serial number N-. Extra serialnumber engraved by hand by ‘Heetman’under one of the lugs #2366 605. This is a stainless steel/gold model with a blue dial and bezel. This watch was stolen with box and papers. 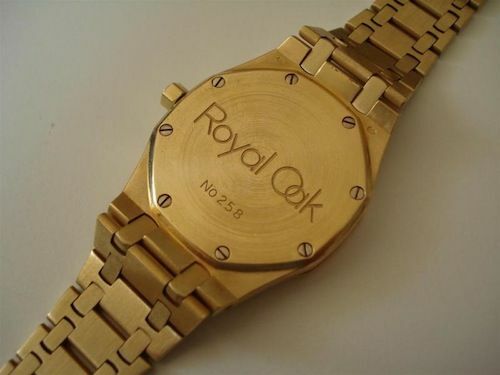 Unusual is the fact that although the watch has an N-serial it was sold in 2003 by Rolex AD Heetman in Rotterdam. 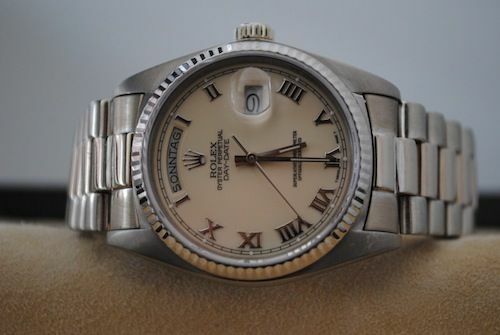 Rolex Day-Date, reference number 18039, serial number 7306123, 18ct white gold, creme (‘panna’) dial with roman numerals and complete with box and papers, delivered to a German authorized dealer. 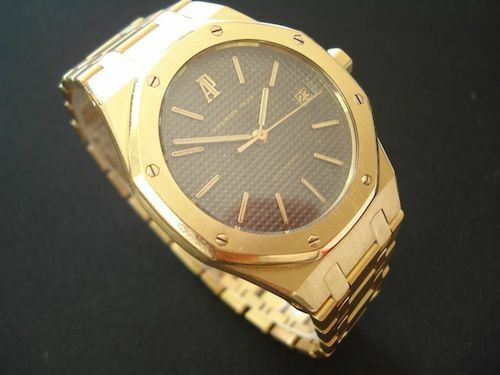 Audemars Piguet, Royal Oak Date, reference number unknown (but not a 15300 or 15202), serialnumber 258, no alphabetical prefix, 18ct yellow gold and came with a with modern style AP box. More pictures can be found here and here. If you have any idea where these watches are now, or have they been offered to you? Please contact Dale Vito.